Damage caused by intruders or criminals is a consistent problem or worry to business owners. Not only do they cause thousands of pounds worth of damage but it can also disrupt business costing even more. This might be because the police ask’s that no one enters the building until they have dusted for finger prints and looked for evidence, thus reducing productivity time. You can obtain your local crime statistics by clicking here and then click on crime map inserting your postcode. It doesn’t matter if you want to protect from external intruders or whether you want to safeguard key internal areas. FFM will be able to assess the particular risks to your premises and operations. 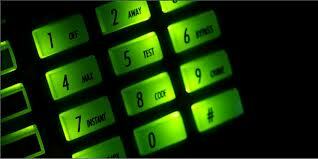 We can then develop a cost-effective intruder alarm solution. Extensive range for every application. Fully programmable for individual requirements. Multi-user codes and access levels. All systems are installed to PD6662/EN50131 Series and NSI code of practice. Our surveyor will carry out an in-depth survey, enabling our designers to produce a detailed specification and quotation that is specifically tailored to each and every client. All engineers hold a recognised national qualifications. They will install the equipment to the detailed specifications. This will include as necessary all electrical works to current IEE Regulations and codes of practice. FFM will carry out a full installation from the initial works through to the final onsite test and inspection to ensure that the installation will conform to all requirements. Alarm Monitoring (Intruder & Fire). Out of Hours Call Handling. From the highly sophisticated alarm receiving center we monitor alarms of every type, all over the UK, giving a guaranteed response to every activation. It’s a service that provides round-the-clock cover, 365 days a year.